What time is check in and what time is check out? Can we request an early check in or late check out? Check in is 4:00 pm and check out is 11am. Requests can be made for Early Check-in Late Check-out but these are occupancy related and cannot be guaranteed. We will do our best to accommodate when possible. How do I store my baggage prior to checking in or after checking out? Is parking available at your hotel? Is there a guest limit per room? What room types are offered? Do you provide shuttle service to and from the Airport to the hotel? Do you provide shuttle service to and from the cruise port? What age do kids stay for free? What forms of payment are accepted to pay for my room? 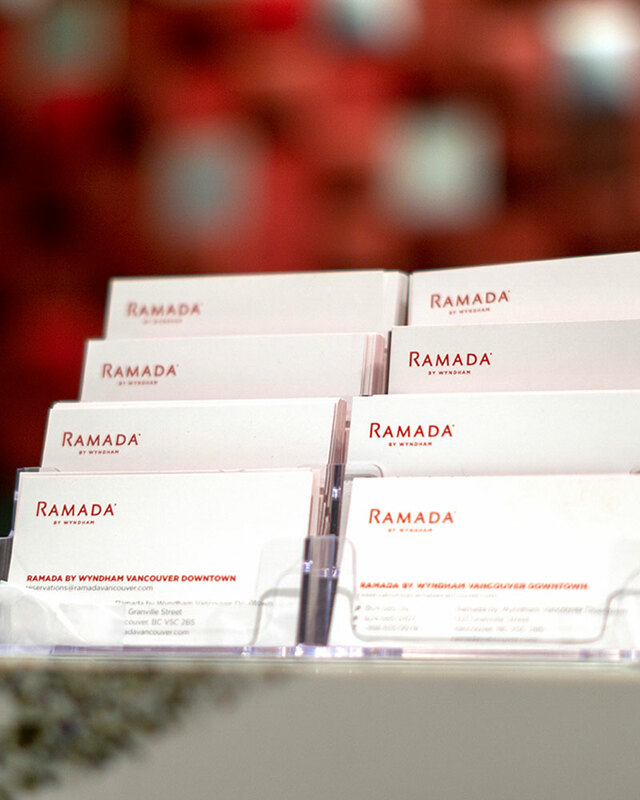 A credit card in the name of the primary guest is required for check-in at this property. Payment upon check-out can be made by cash, debit or credit card. What is your deposit/cancellation policy? Is there self-serve laundry with detergent for sale at the hotel? Self Serve Guest Laundry is available on our first floor at a cost of $3.00 per wash and $3.00 per dry. Detergent and dryer sheets are available for purchase. 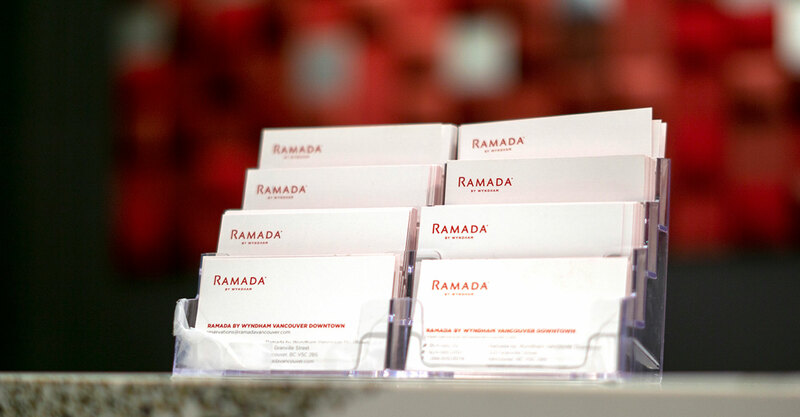 © date Ramada by Wyndham Vancouver Downtown. Hotel owned & operated by Hallmark Hospitality.